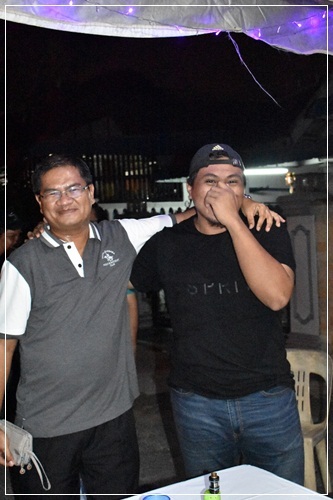 SATURDAY, 7th JULY 2018, had been a very long and tiring day for me. 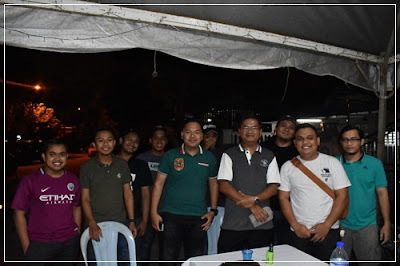 First there was this Alumni Eid get together in SMK Taman Universiti, which was followed by a few house visits and a wedding reception. Here is the report in brief. 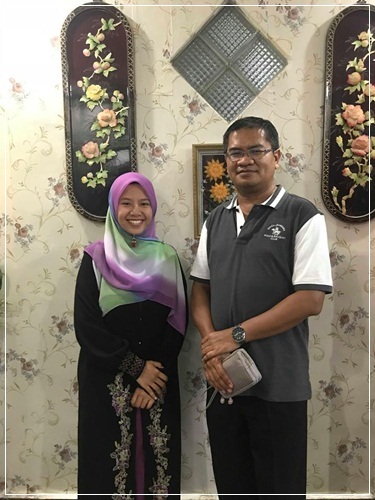 and Puan Hashazah with her husband. 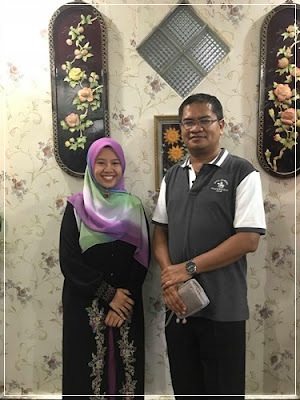 Mr. Mohammad bin Kadir, a non-academic staff of SMK Taman Universiti, held a wedding reception for his son at his house in Taman Universiti, Johor Bahru. As usual, I met a few friends/ex-colleagues there. And at the same time, Mr. Mohammad's eldest son, Mr. Nazary, is also my ex-student in SMKTUN (SPM batch 2004). From Taman Universiti, I made my way to Bandar Baru Kangkar Pulai. 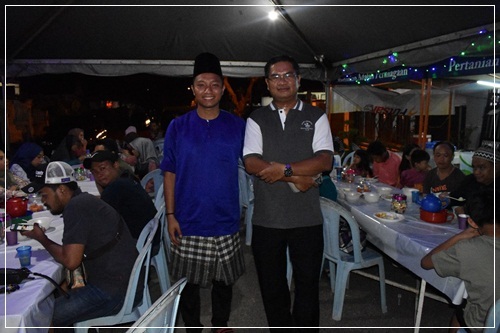 This time it was Eid's Open House held by Mr. Tukiman Sarmin, the PK HEM (Senior Assistant of Students' Affair) of SMK Dato' Jaafar, my colleague now. There were a few people from school who were there at the same time. 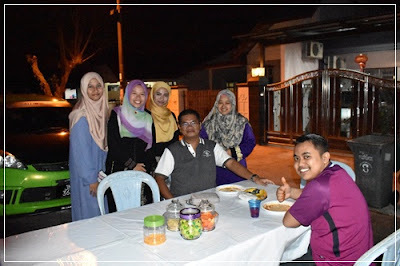 I went to another open house right after at Taman Pulai Indah actually but it was not highlighted here. The place was quite crowded at that time with people who were mostly strangers to me. As I had decided to go to another open house invitation in the evening with Mr. Amirul Husni Shaarin (SPM batch 2010), I might as well pay him a visit at his house. 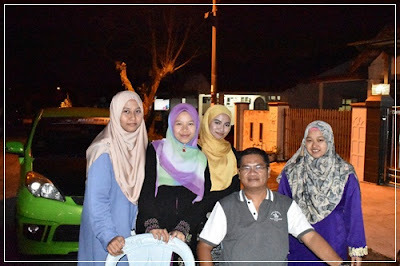 Both the parents were at Shah Alam at that time so it was just a short stay. 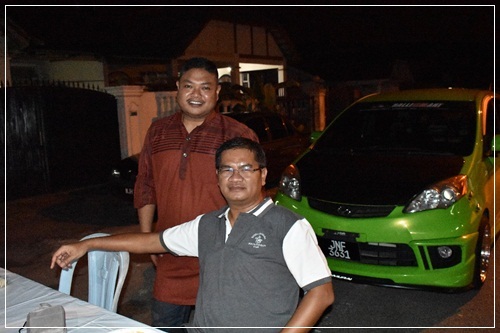 I was invited by Mr. Syarifuddin Wahid (SPM batch 2010) and his elder brother Mr. Hafizuddin Wahid (SPM batch 2004) at their place in Taman Universiti. I had been invited to the same event before but this year, I managed to make it there. There were more ex-students I met there. However, I could not stay too long as I was already too full and too tired. I went to bed early when I reached home and had slept like a log. I am still expecting more photos from the host's camera to be published here. 6 more days before Eid comes to its end this year.